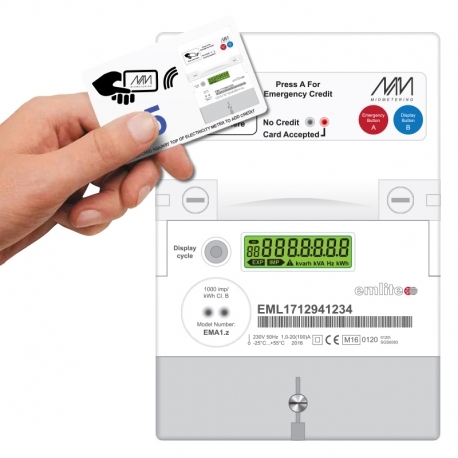 The MP22 RFID is a new Pre-payment card electricity meter. This is the only MID certified card pre-payment meter available in today’s market. Using RFID technology (Radio-frequency identification), the credit from the pre-payment cards are transferred without the requirement to insert the card. This is a modern and ideal solution for Caravan Parks, Marinas and Rental Property.The cards for this meter are re-usable and for small users (50 or less) we can recharge the cards at a small fee. For large users (50+) we can supply the Desktop Charger and software to allow you to recharge your own cards.